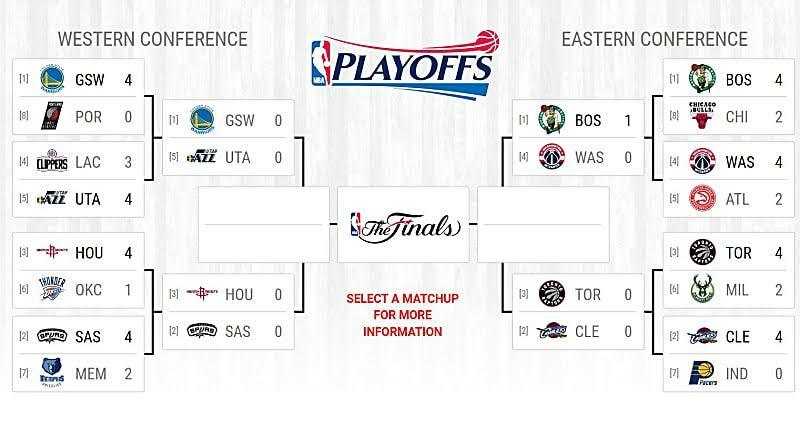 The NBA semifinals are set and none of the teams here should be a surprise. Sure, the Bulls nearly knocked off the Celtics, but all of the teams we expected to see here are here. The Clippers are gone. The Thunder and Russell Westbrook are unfortunately gone. The Grizzlies fought hard, but are also gone. The Pacers are gone. The Hawks are gone. Only 8 teams remain. As the 2nd round kicks off, we take a look at the Semifinals matchups and discuss how they could all play out. 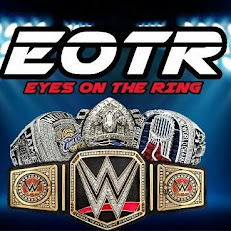 Let's get into it. 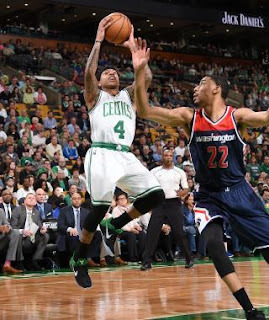 The four teams left in the East are the top 4 seeds, and that's not a shock at all. 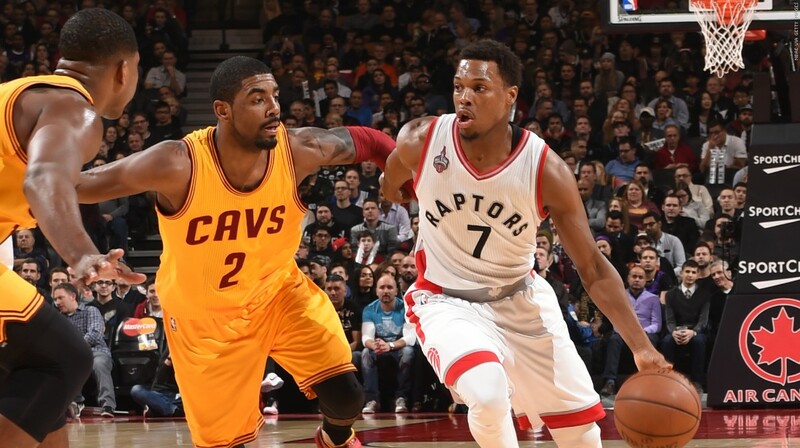 Cleveland is riding a week of rest into game 1, while Toronto has had about 3 days of rest. It should be interesting to see how those teams respond to the extended rest. 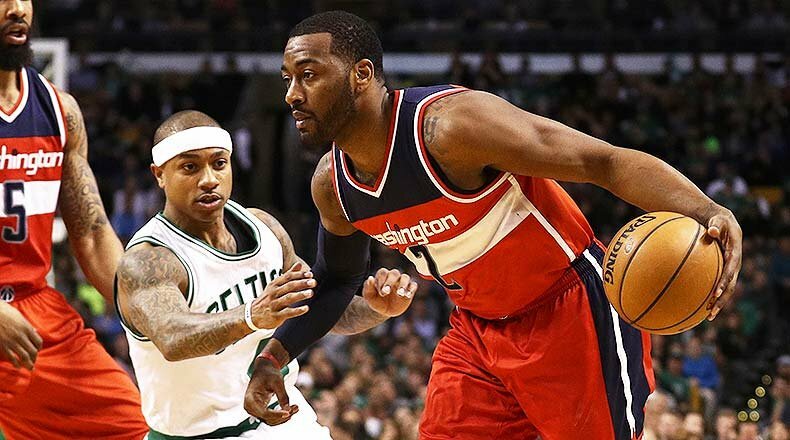 The Celtics and Wizards have already kicked off with game 1 in the bag, but the series could and should be a long one. 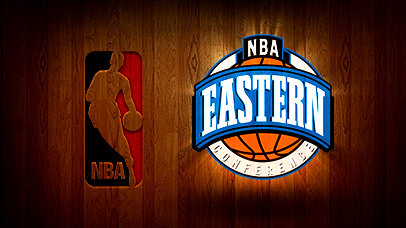 Let's take a look at these Eastern Conference matchups. 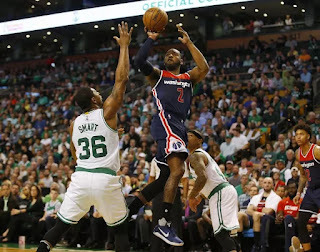 -After nearly winning 50 games, the Wizards had a tough time getting rid of the Hawks. The Celtics struggled with the Bulls, but they got it together after the injury of Rajon Rondo and won the series in 6 games. This series has a chance to go 7 games if the Wizards can show up. This is the marquee matchup and the closest matchup in the East honestly, and if I had to pick a winner, given the injury to Morris in game 1, I'm going to go with the Celtics. After his tragedy, Isaiah Thomas has been showing out in these games and scoring at will. 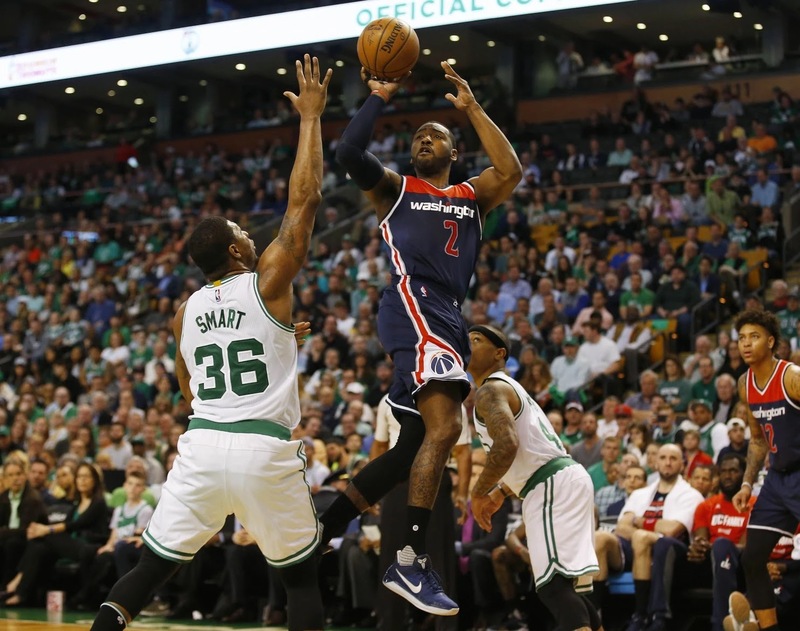 John Wall and Bradley Beal are a dynamic duo, but I think this is not their year. The likely matchup will be Cavs vs Celtics in the Conference Finals, but I'd personally prefer to see the Wizards vs Cavs. 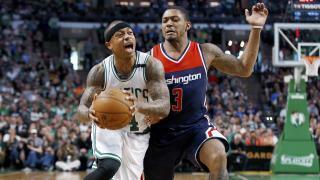 Regardless, with the injury hampering the Wizards, I'll take the Celtics in 6 games this series. -The No. 1 and 2 seed from last year are here with the same record this season and one spot lower for each team. 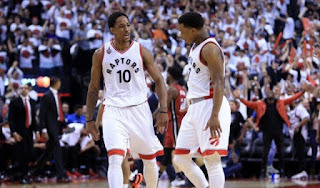 The truth of the matter here is that the Raptors seem to be at a disadvantage and the Raptors are inconsistent as always. Cleveland hasn't really showcased amazing defense in any of their games so far, but they don't need to. They'll need it a bit more in this series if Derozan and Lowry start to get hot, but more than likely Kyrie, LeBron, and Love should be able to handle this team like they did the Pacers. 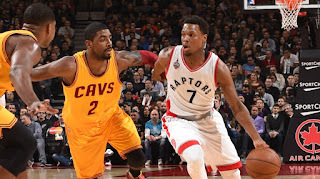 However, in the event the Cavs do come up short, it's possible the Raptors could push them to 5 or 6 games. 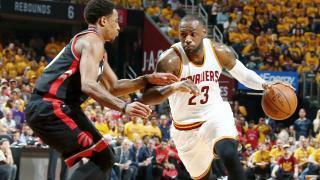 I think the Cavs win in 5 games, but there's a chance (and I hope) this series goes at least 6 games. The West is stacked. 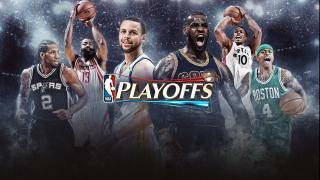 The top 3 seeds have 4 of the top 6 players in the game. The Warriors have Kevin Durant and Stephen Curry, the Spurs have Kawhi Leonard, and the Rockets have James Harden. With that being said, I think we know what's going to happen. 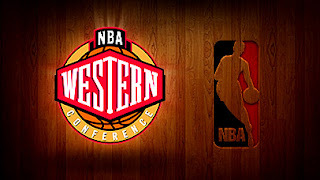 Unless a number of players get injured, the Conference Finals should go one way and that's with the two best teams in the NBA going head to head. Who are those two? Well first, let's take a look at the 2nd round matchups. 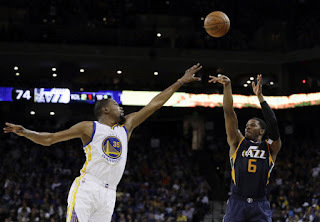 -The Jazz have one thing going for them: momentum. After pulling off a solid game 7 win over the Clippers, the Jazz will challenge the Warriors in the post and play tough defense on them. However, Kevin Durant is healthy, Steph Curry is in MVP mode, and Draymond Green is in Defensive Player of The Year mode. 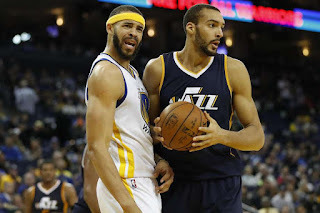 Rudy Gobert is a great defensive player, but he hasn't been fully healthy all playoffs and goes into the Warriors series not at 100%. This Jazz team is a bit banged up after going 7 games with the Warriors and the Warriors are well rested and healthy. 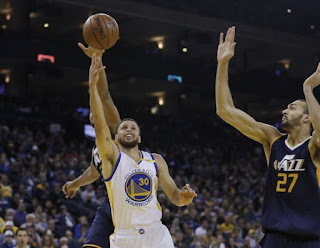 All signs point to the Warriors winning this series, and I think they will win it in 4, with another sweep. However, I'll say Warriors in 5 because it's tough to win in Salt Lake City two times in a row. 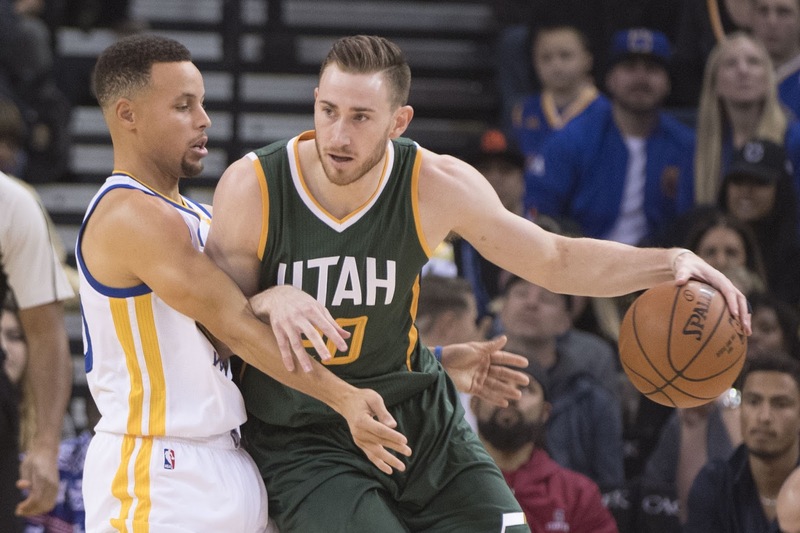 Gordon Hayward will have a solid series, but if the Warriors defensively are in rhythm like they have been, it should be a fairly easy win for this team, but the Jazz will bring it of course. 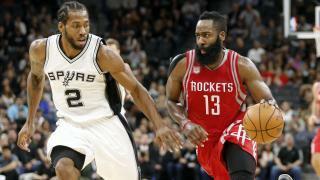 -Mike D'Antoni has really struggled with making it beyond Coach Pop in the playoffs and I suspect that this will be no different. However, you never know. 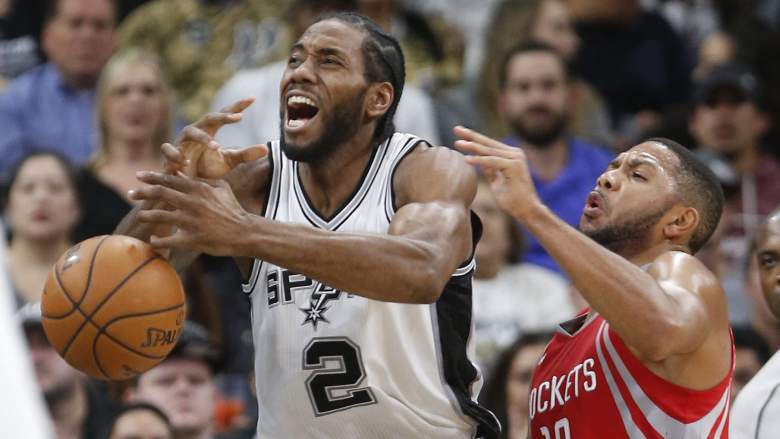 The Spurs got pushed to the limit in their 6 game series against the Grizzlies and Kawhi Leonard went at their necks with everything he had. However, the Rockets are well rested and have a great team of shooters. Can the Spurs overcome that? That's the real question. I think they can. I think we see the Spurs win in 6 games, and if the Rockets have tough shooting nights against the Spurs, it could be the Spurs in 5. 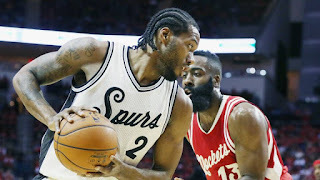 The only way the Rockets win this series is if goes 7 games and that feels so much like a long shot. 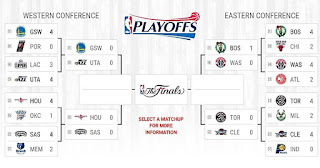 The Conference Finals will likely end up as the Celtics vs Cavs and the Warriors vs Spurs, the top two teams in each conference. No shock, nothing to see here.